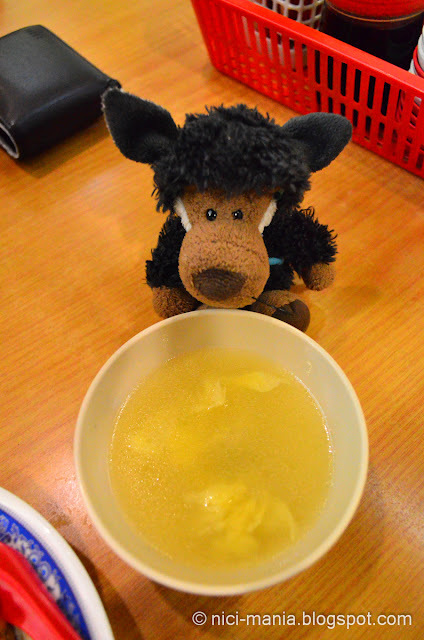 Parklane Zha Yun Tun is a Chinese pronunciation of the word deep fried wonton. 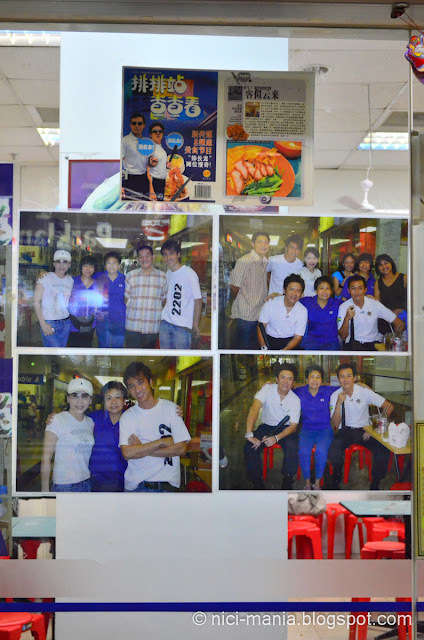 Parklane Zha Yun Tun is inside Sunshine Plaza shopping center, as you step in it feels like a deserted place. Once you walk further in you can see the crowd at Parklane Zha Yun Tun lighting up the place. TV stations have been here, newspapers, magazines have all been here to showcase Parklane Zha Yun Tun. 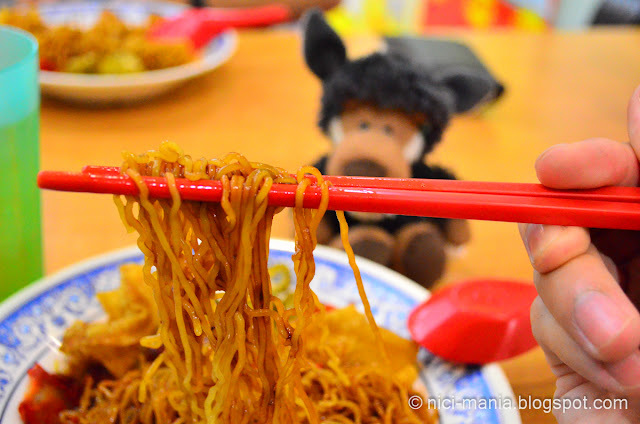 Our Zha Yun Yun noodles aren't here yet, so Hugo is playing around. 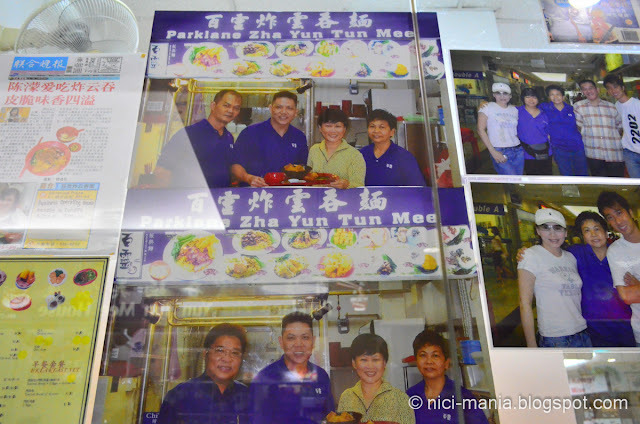 Our parklane zha yun tun is here! The first thing to check out is definitely the deep fried wonton, which in mandarin called zha yun tun. Parklane's zha yun tun is very crispy but the minced meat filling is too stingy. 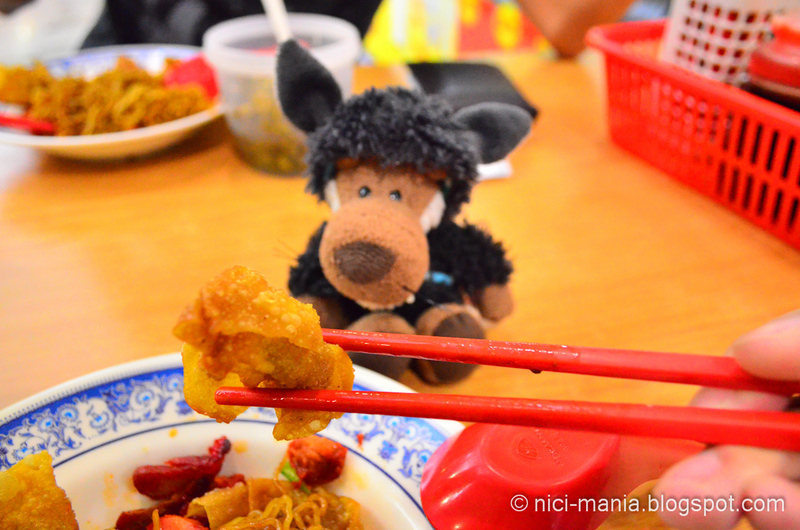 Next thing we check out is the wonton noodles! We liked that Parklane zha yun tun noodle's texture is very springy, not much taste going on in the noodles other than dark soy sauce. 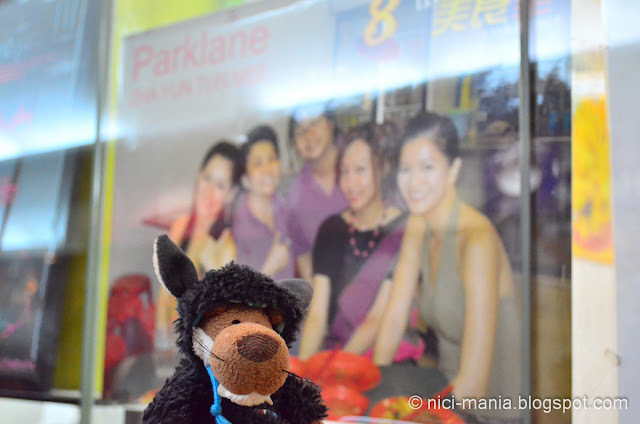 The char siew (roasted pork) at Parklane zha yun tun is a surprise! 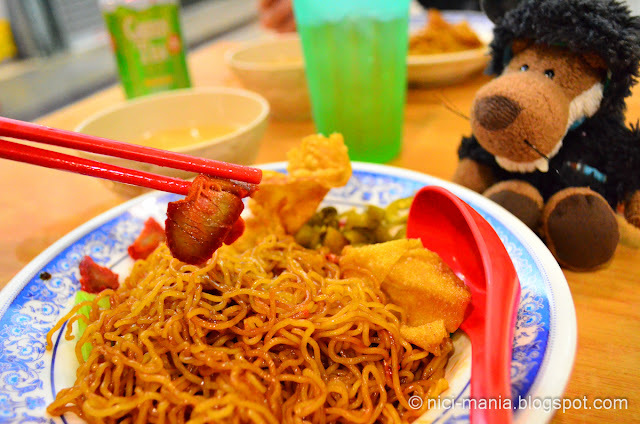 It is soft and tender unlike many other wonton noodle store that gives thin slices of dry and hard char siew. 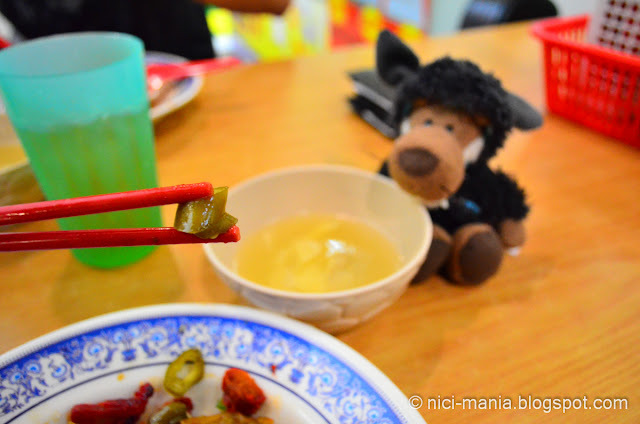 As usual, we always check out the green pickled chilli at wonton noodle store. We love the green chilli at Parklane zha yun tun here, it is crunchy and not too sourish. 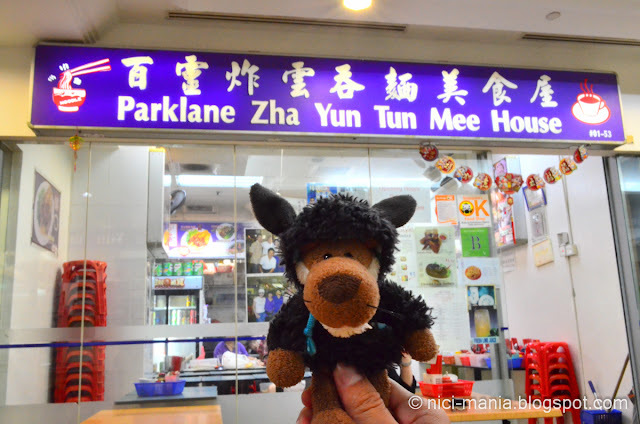 We weren't impressed with Parklane Zha Yun Tun at our first try, but we went there again the second time and felt it tasted much better than the first time. 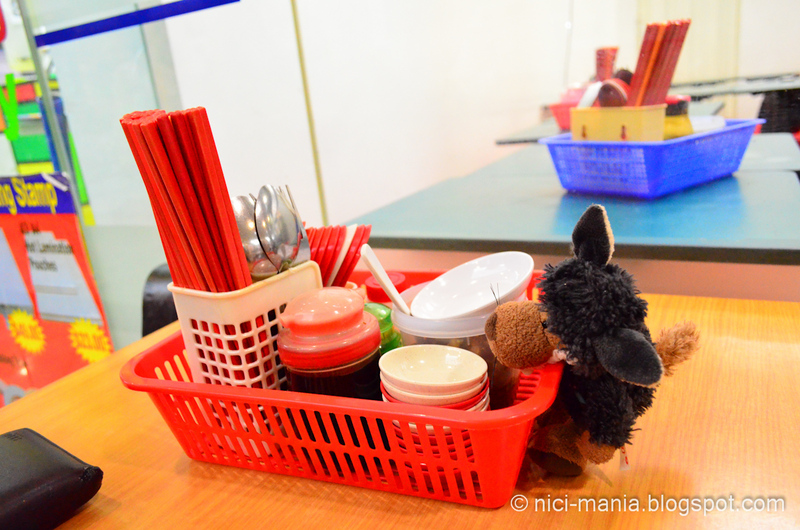 When the eatery is too hyped, its normal that we have higher expectations. It is $3.50 for a bowl of Parklane zha yun tun with soup. We recommend ordering the $4 noodles! YUM! We think there needs to be a photo of Hugo Wolf added to the restaurant with all the other photos of the clients! Hi Hugo. 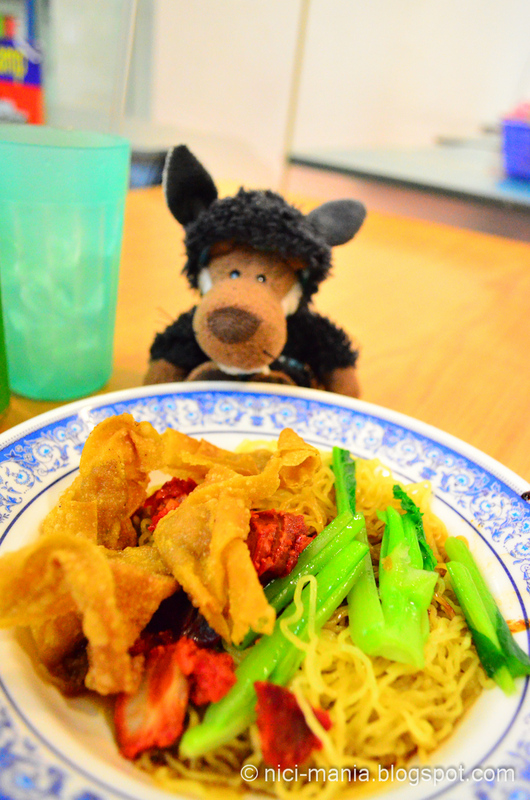 You are very lucky to enjoy such a yummy meal :-) Our flock would surely love that wonton noodle! Hope you enjoyed it Hugo! mmmm all this food looks so yummy!